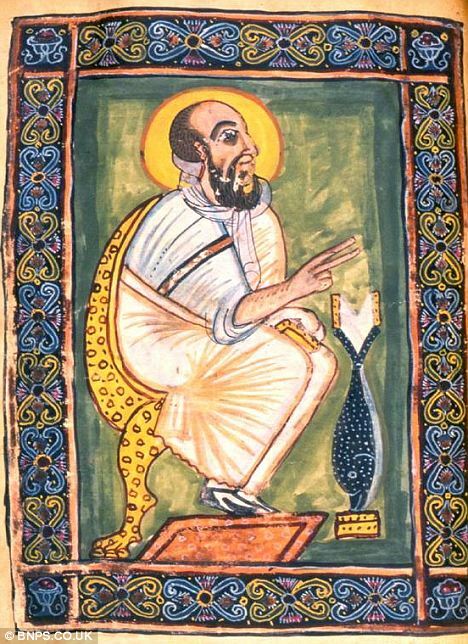 The monks at the Abuna Garima monastery in Ethiopia have always held that their 2 volume illuminated Bible were written in one miraculously extended day by Abba Garima, a Byzantine royal who founded the monastery, in 494. Dating analysis done in the 1960s, however, dated the book to the 11th century. It wasn’t until very recently that radiocarbon dating done on several fragments of the goat-skin pages supported the monks’ version: the book dates to between the 4th and 7th centuries AD, making this the earliest known illuminated Bible, the second earliest scripture collection, and the oldest bound book where the pages and the binding were actually created for each other rather than old pages rebound into a newer binding. New dating techniques have put the creation of the two books to somewhere between 330 and 650, making them a close contender to being the most ancient complete Christian texts. The only major collection of scripture that is known to be older is the Codex Sinaiticus, a copy of the Bible hand-written in Greek which dates back to the third century. Unlike the Garima Gospels, the Codex includes large chunks of the Old Testament, but the entire work is divided between museums and monasteries in Egypt, Britain, Russia and the USA. The Garima Gospels, meanwhile, have been in one piece in the same place for the best part of 1,600 years, guarded by generations of monks from Muslim invaders, colonial conquerors and a fire in the 1930s which destroyed their church. What has kept these volumes safe also makes conservation a bit of a challenge. The gospels are never allowed out the door, so when the Ethiopian Heritage Fund sent an Anglo-French team of specialists to help restore the brittle volumes, they had to bring the people and equipment up the side of a cliff to the monastery where they set up shop in the courtyard. For [bookbinder and manuscript conservator Lester] Capon, who has been binding books for more than 30 years in the UK, the restoration work was a serious challenge “without any of the normal facilities in a European conservation unit”. Forced to work outside, he had to be constantly on the look-out for a group of monkeys that seemed determined to cart the sacred book high up into the mountains. An earlier conservation project in the early 1960s had resulted in some sections of the gospels being sewn together entirely. Mr Capon had to undo the stitches, take out each page, clean it and put it back in the right order. 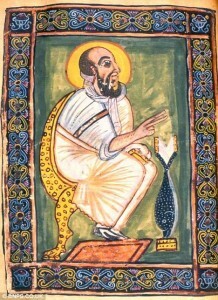 Jacques Mercier, a French expert on Ethiopian manuscripts, was on hand to ensure each page was put back correctly. They only had time to restore the illuminated pages this time out. Next up, the Ethiopian Heritage Fund plans to restore murals in some neighboring monasteries and creating a small museum to display the Garima Gospels. That would be a neat off-the-beaten-track pilgrimage to make.